We have added information to our site at w4mpjobs.org about whether a job pays the ‘real living wage’, based on the rate set by the Living Wage Foundation. The Living Wage is an independent movementof businesses, organisations and people who believe a fair day’s work deserves a fair day’s pay, and the rate is independently-calculated based on what employees and their families need to live. As of August 2017, the London Living Wage is £9.75 per hour. This covers all boroughs in Greater London. 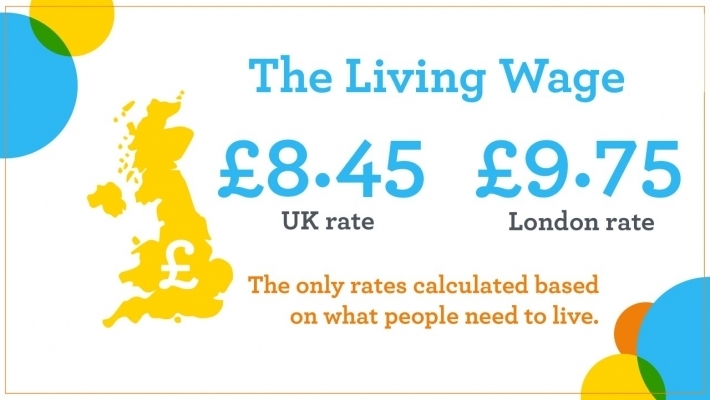 The UK Living Wage for outside of London is currently £8.45 per hour. For more information see the Living Wage Foundation website. The foundation does not publish the Living Wage as an annual salary as the requirement is that the Living Wage is paid for each hour worked.